The main reason that I'm not going to University is that I don't have a clue what I want to do with my life. I know that a lot of people say you decide what you want to do when you are there, but if I'm honest paying £30,000 just to find what career I want is a bit drastic. 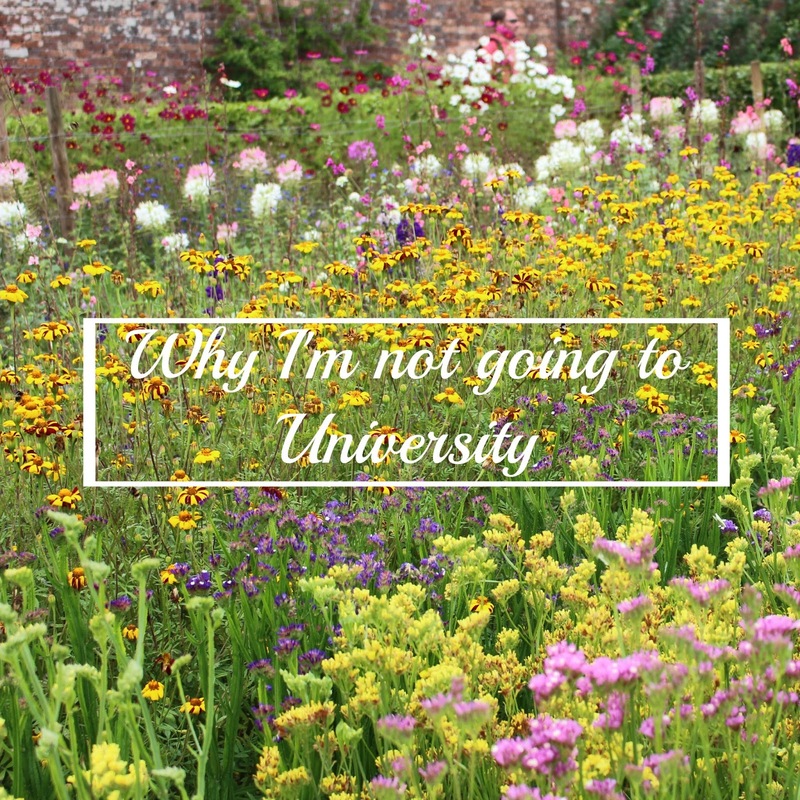 Most of my teachers wanted me to go to University, but instead of encouraging and guiding me into looking into courses they said that if I didn't go to University I would be wasting my life. No joke. So with that bitter taste in my mouth, I stubbornly decided that I would prove them wrong. I've been thinking a lot over this summer holidays, and if I'm honest I've been absolutely dreading September. The thought of my two best friends in the entire world leaving me in our boring town where I don't know anyone, and not returning until Christmas at the earliest, is terrifying. So after crying for hours about the fact that I was going to be extremely lonely for the next 4 years, I had a mini epiphany. Most of the people that are going to University aren't just going for the education. They're going for a new adventure, new experiences and to grow as a person. So, why can't I have those same experiences at home? I've already booked myself onto another college course, so that as well as exploring new progression routes, in a subject I'm more interested in, I can also make some more friends. I'm also finding things to keep myself busy. I've put off learning to drive for over a year, so I've finally taken the plunge and booked driving lessons, which I'm very excited about, and will give me a sense of freedom when I eventually pass my test. I will be able to go on mini adventures and explore some areas in the South West which were before off limits to me. Also blogger meet ups. I've also been looking for more hobbies and groups to join to keep myself busy and to have some more company. Unfortunately Somerset is awful when it comes to finding things to do, and the only things I've found that I would want to do are in the surrounding counties, which is even more reason for me to pass my driving test. As I'm sure you lots already know from my constant Instagram postings, but I've also brought myself a new camera, so I'm going to really try and get out to take more photographs this year. 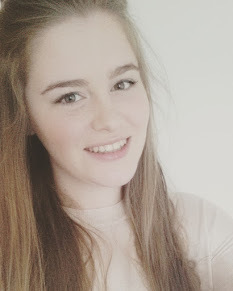 I also really want to get into making more YouTube videos, so hopefully I'll get into that too. Today's post was a bit rambly, but I felt I needed to get it off of my chest. Let me know in the comments what your plans are for the next academic year! By rights I was meant to leave school this year but was a differed a year before I even started school due to surgery but I'm already starting to think about what exactly I want to do when I leave school and to be quite honest I really don't have a clue. Teachers from my school are keen about me going to college but I really don't think I want to because in my eyes there so many more options. You're definitely doing the right thing Geraldine! I think you'll look back in future and be glad that decided to make this decision! Hope all is good with you! Good for you! I finished university two years ago and still have no clue what I'm doing with my life. As fun as it was if I had my time again I wouldn't bother going, you can definitely get into great careers through experience rather than education. I've never related to a blog post more! I've had much the same pushing and shoving to choose uni by teachers, etc. and I'm adamant I'm not going for the same reasons as you - just because a path is frequently travelled doesn't make it the best route! I like the flower garden, it makes me happy.